I have to apologize, I didn’t do much visiting this week. A huge snowstorm hit our area and we have been without power on and off the past few days. Plus in the middle of the storm I became a grandma for the 3rd time. So I don’t have too much to report today. I did decide to host another challenge in 2013. Just click on the button above for details and to sign up! If you like cozy mysteries as much as I do I have found a similar A-Z Challenge just for cozies. It is being hosted as a group on GoodReads. That makes it so easy for everyone to participate. Just click on the button above to find the details. With cats named Sherlock Holmes, Dr. Watson and Professor Moriarty you know I have to join this challenge. 1.) The challenge starts January 1, 2013 and ends December 31, 2013. 2.) You can read any novel, short story or author just so that the genre is mystery/crime. 3.) 1 novel counts as 1 novel( 1 novel is anything over 100 pages) of course but you will have to read 5 short stories to count as 1 novel. 4.) There will be a monthly post for you to add a link or links to your post showing the progress that you have made so far. 5.) Each month there will be a drawing for those that linked up their participation in the challenge for that month the prize is a $25 gift card to Barnes and Noble or Amazon. These gift cards are delivered via email so you can only use it at Barnes and Noble.com not the store and of course Amazon is all online anyway. If you don’t have a blog you can also link up through GoodReads or Flickr (for Flickr just keep track by having a picture of the novel and then numbering them in the description so I know where you are at in the challenge). This challenge is hosted by The Crafty Book Nerd and you can click here to sign up or on the button above. I am signing up at the Sherlock Holmes Level. 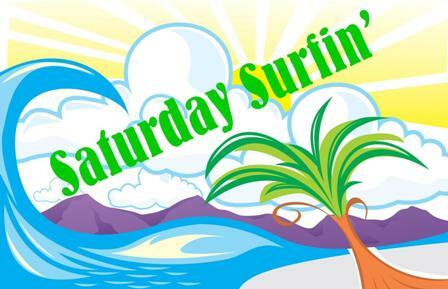 That’s it for week 13 of Saturday Surfin’. If you see some posts you feel should be shared please leave the links in the comments section for people to visit. The weeks are too short to travel to all the wonderful blogs in the blogosphere but together we can help find and direct each other to at least a few. Thanks Sheila! I have fixed it now! Glad you will be reading along with us over at The Crafty Book Nerd in 2013!